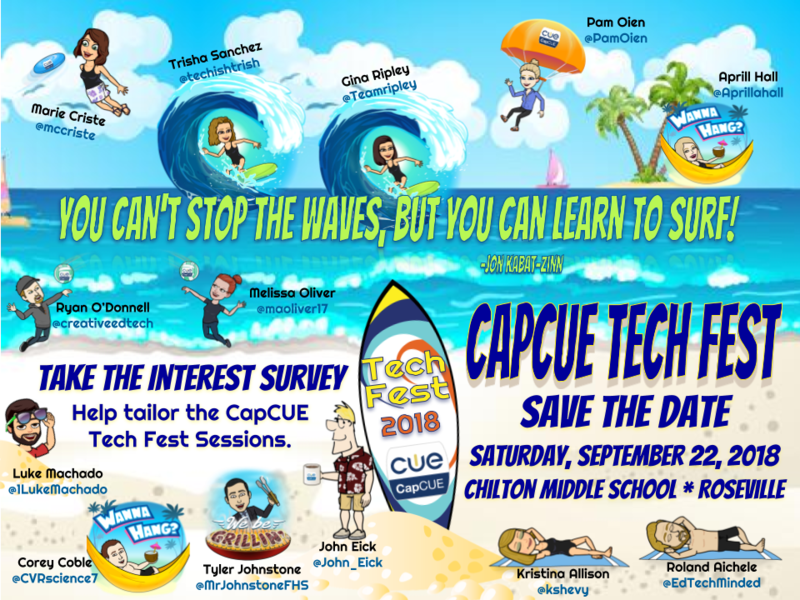 Are you interested in Presenting at CapCUE Tech Fest 2018? 1. Check out the data below from our members on what they are interested in learning. ​funding innovate uses of technology in our local school. If paying by PO, please contact Marie Criste at mcriste@capcue.org.